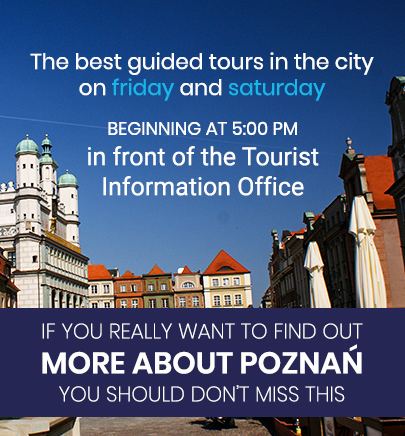 Poznań City Card is the perfect way for the individual tourist to visit the city – a card holder exploring Poznan attractions or museums will not have to pay for the entrance! Using the city transportation like tram or bus between the attractions you won’t have to worry about the ticket. Poznań City Card as a public transportation ticket is valid in every tram and bus in Zone A (only Poznań), B (nearest communities) and C (communities located further away from Pozań). Visiting the Palm House or Zoo or watching a show of one of the City Models, or even going to the swimming pool? With the card you can get a discount. Enjoying your evening in the theater, a restaurant or a café? Enjoy your attractions at a reduced price when you show your card. All together over 70 attractions for the price of 30 zloty. You can find the full list of attractions here.